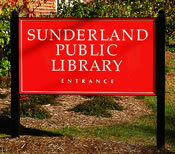 Signs and various kinds of display provide architectural and other solid structures on which to communicate. The materials and methods employed in these applications vary widely, presenting technical challenges quite different from those in the printing and web based industries. I work with sign companies in much the same way I work with printers. 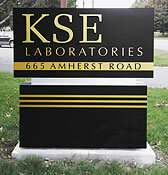 I design signs, but do so utilizing my design knowledge, understanding and technical experience in the field to create projects that function and that can be realistically manufactured. In addition, I have considerable experience designing trade show samples, exhibition graphics and awards. As with signage, my focus for these areas would be on the design aspects, while working with appropriate manufacturers as needed in order to realize any ideas.